No doubt back in the time when Noah built his ark and gathered up animals ahead of God’s promised flood, more than a few people thought he was just a little off his rocker. Then it rained for 40 days and 40 nights. Whether or not you believe that account from the Christian Bible’s Book of Genesis, all of us can recall similar stories or real-life incidents where people prepared in advance to deal with the harshest of times, only to be proven right in the end. That’s what the state of Texas is now doing — making economic preparations in advance of a global economic collapse resulting in the fall of the U.S. dollar as the world’s reserve currency. Lawmakers passed H. B. 3169 after it was introduced in March by Rep. Giovanni Capriglione. The measure “makes a multi-faceted assault on the Fed’s mismanaged money monopoly, including provisions for overseeing the depositing of ‘state money’ and the setting of rates of exchange between precious metals stored in the facility and other currencies, including U.S. dollars,” The New American reported. While the U.S. and global stock markets are sound today, high debt and low growth abound; the Fed has been propping up the dollar with various support measures that, when taken literally, are wholly artificial because there is nothing undergirding American currency in the form of hard, tangible assets. With gold bullion legislation, Texas is making a bet that sometime in the future it will need such assets to remain economically viable at a time when all other states that haven’t made similar preparations fail — right along with the heavily indebted federal government. Almost two years ago Gov. 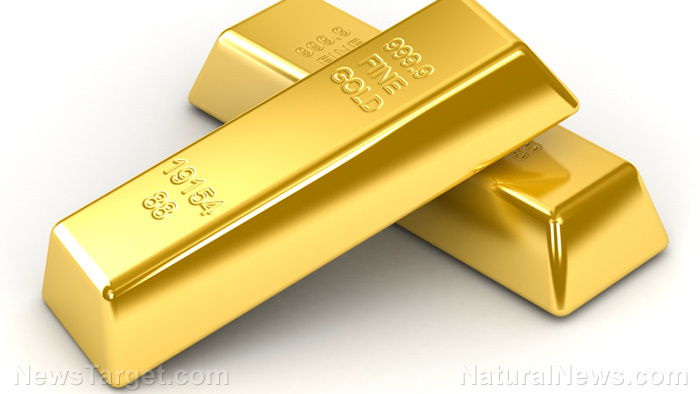 Greg Abbott signed a bill into law authorizing the establishment of the gold bullion and precious metals repository. Very shortly thereafter, state officials jump-started the repository process to get in up and running. William Greene, an economics professor, explained to The New American that over time, Texas residents could utilize state-issued currency and federal reserve notes to achieve a “reverse Gresham’s Law” effect, whereas good money such as gold and silver would drive away fiat money, like federal reserve notes which are not backed by anything of value. “Sound money is the tide that lifts all boats,” The New American noted. Of course, the Federal Reserve isn’t about to just sit back and allow that to happen. No doubt the Fed would employ all kinds of rules and regulations in an attempt to stymie the Texas-led effort to absolve us of all fiat money and reinstate some financial freedom into the system. Right now though, there is another obstacle — of sorts. Under Art. I, Sect. 8 of the Constitution, Congress has the authority “to coin money” and “regulate the value thereof,” not states. That stated, though states themselves cannot issue their own currencies, the movement by some to stockpile physical wealth can be used as the driver that convinces Congress to reclaim its authority over setting the value of money, namely by changing what our money is valued upon — hard, physical assets that have historically held value, or the whims of an unelected fiscal authority that, throughout its history, has never been adept at preventing economic ebbs and flows. But even if nothing changes on the federal level, Texas has obviously decided to protect its own economic self-worth and that of its citizens with the establishment of the gold bullion repository. It’s an economic prep other states should take as well.